Life is art. It can be crafted good or bad because it doesn’t necessarily mean that art can always be acceptable just by doing it. Dalai Lamas are the head monks of the Gelug School, the newest of the schools of Tibetan Buddhism. Dalai Lama the 14th won the Nobel Peace Prize in 1989, and is also well known for his lifelong advocacy for Tibetans inside and outside Tibet. Dalai Lama quoted and gave inspirational instructions for life in 19 parts. All the parts will direct our life in an art that will end up as acceptable. 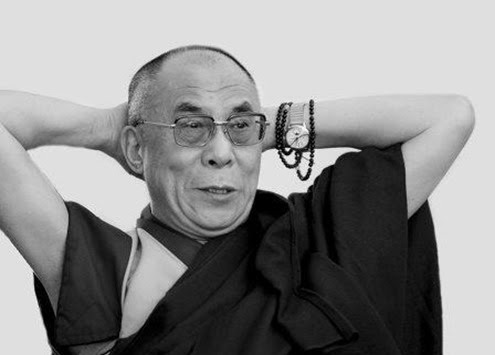 At first, we may think that Dalai Lama is all about calmness and spirituality, but he is pretty much aware that every great achievement involves great risk. If we want to make change and matter in this world, we have to be aware of the risks from that stunt and keep proceeding while we nurture our spirit with daily motivation and doses of calmness (yoga, meditation, work out). The thing we take out of defeat is lesson and if we lose the lesson, defeat will always make us failures. -Responsibility for all of your actions. If we follow these, we are more than half way on the right path. The other half is in the other 18 instructions. I think that he believes that everything will lead you us the right spot if we keep proceeding with the instructions he gave. Some things cannot be always grasped and get, but that’s the beauty of the struggle in harsh times. That’s right. Every person, even among the greatest, knows that the rules are made for finding gaps. If we keep track on things to avoid breaking a rule, we will never achieve greatness, because the rules alone are made so that we cannot do more than ordinary. Friendship is getting along with a person that has traits which suit your personality. That person cannot always agree with our actions. If you think about it, sometimes we cannot even agree with our own thoughts and actions. We can’t expect to get along all the time with our closed ones. Mistakes are crucial parts of life. Rejection and mistakes help failure. We can pull a lesson out of a mistake, like we can from failure. But if we let that mistake run in background, it will end up accumulating more problems. The best way to correct our mistakes is now. It’s not always easy, but it’s always the right thing. I personally know people, and some of them are my close friends, that cannot get along with themselves. They can’t stand being alone. By being alone we have time to “deal with our skeletons” meaning every day we need some time alone to thing about US. It’s crucial part for our soul to have a chit-chat with ourselves every day. Change and values are closely related. We can change ourselves but it’s important that we keep our values with us. You can be a good and poor person and that doesn’t mean that you should be evil when you get rich. You can be good and rich. We shouldn’t let change take our values. We all work on energy. By that fact, we shouldn’t always speak our answers. Sometimes the energy is enough to answer particular questions. Our life separates on two parts, actions and memories. If our memories are always cheering us up, we know that life was good. We should strive for that kind of memories, but don’t live your life so you can get old and live on memories. It’s never too late to make another ones. We often let our emotions run and we come up with things to insult our loved ones. From now on, when you have disagreements, especially with people that matter, deal with current situation. Don’t try to win the fight, but try to solve it. Sharing the things we know, will always leave trait in people. That’s the only way to live forever. The earth is the only place for us to live on. Maybe this will change in the future, but that’s only because we destroy. We test weapons, we bring fire, we extinct animals, we make global warnings. Nature and animals have it all balanced and people are the only ones that prevent that balance from sustaining. Discovering new things includes meeting new cultures and seeing parts of the world. We can enrich ourselves with excessive knowledge by traveling the world. Love is magical. When we are deeply in love we have the need to be together. Don’t fall too deep in the state because loving more than you need will bring you jealousy and obsessiveness, ending up as breakup. The only way to be successful is to give in order to get. If nothing else, we invest our time to get a thing and time is not renewable. Surround yourself with your vision and be ready to give your time and thoughts in order to earn it. It’s great comparison that we shouldn’t overthink when we are discussing about love. We just need the emotions to run our thoughts and be aware of the actions. In cooking we can cut our fingers, but we shouldn’t overthink it while we cut our tomatoes. Really good, inspirational pieces of advice. It's really very important to hear some supportive words from someone. Dalai Lama's words are like parting words, they stimulate and motivate to become successful. I read one more interesting article "How Do You Spell Success? Here Are 7 Ways Straight From Successful People" it inspired me to move forward and never give up.